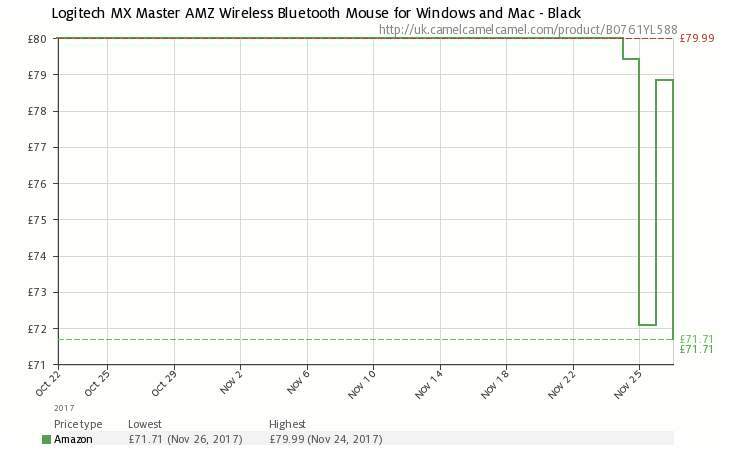 Decent £70 bluetooth mouse for almost half the price! 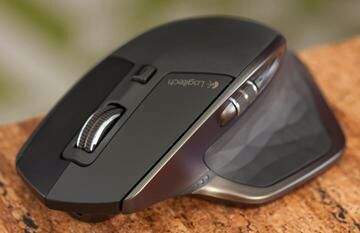 The Logitech MX Master Wireless Mouse is Logitech's flagship mouse. It offers a comfortable hand-sculpted contour and a rechargeable battery and is optimised for Windows and Mac. MX Master is equipped with a smart speed-adaptive scroll wheel, a thumbwheel for side-to-side scrolling and the dark field laser sensor for flawless tracking. 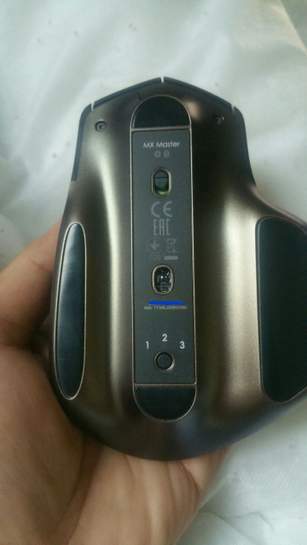 This computer wireless mouse will charge quickly and will let you know it is time to charge it with its smart indicator light. 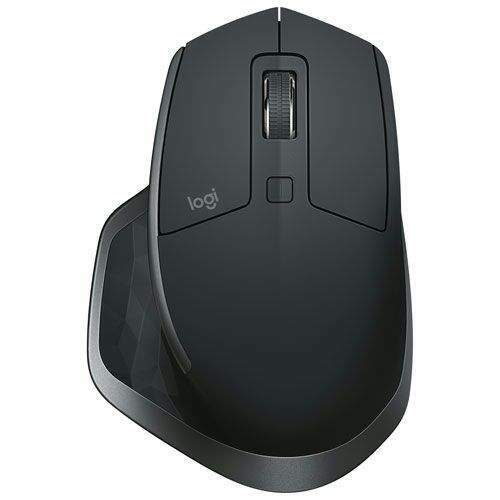 Logitech's large mouse can easily be connected via the included Logitech unifying receiver or via Bluetooth Smart wireless technology. The switch between them is simplified with distinct Easy-Switch technology that operates up to three devices. 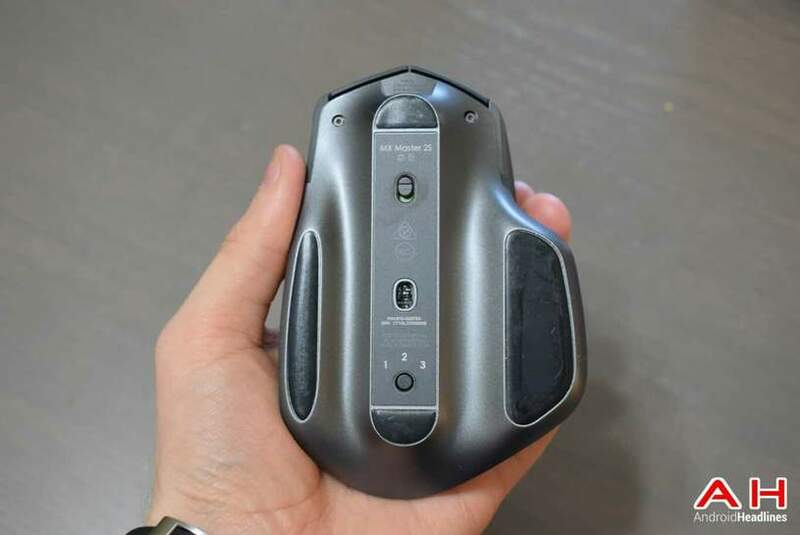 This wireless rechargeable mouse is the ideal computer mouse for those who need a reliable and practical ergonomic product for their everyday work. Heat added ty op! been looking for a deal on these, nearly brought a refurb for £45 today! glad i didnt. By any chance do you know if its the 2s model? Nice. But What is the AMZ version? I have the MX master without AMZ. Purchase from me too, my first of Black Friday / Not Very Sober Saturday / Skint Sunday / Cyber Monday! Heat added ty op! 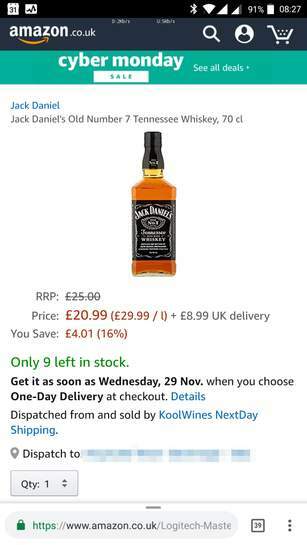 been looking for a deal on these, nearly brought a …Heat added ty op! been looking for a deal on these, nearly brought a refurb for £45 today! glad i didnt.By any chance do you know if its the 2s model? Be aware the new version (s2) is double the battery life and 4x the DPI. Will have a think and maybe buy tomorrow. If you look in the versions drop down, there's a standard Mx master and then "for AMZ" so I'm going to guys that it's a specific batch"for Amazon" to sell today. Maybe in frustration free packaging? AMZ = sold by AMAZON. It's the same mouse, just a confusing description / listing title. Dave Lee, a tech YouTuber with almost 1m subscribers did a review of these mice and he said in terms of usability, there's no difference between the newer and older versions. Although the battery life is bigger, he didn't notice any difference. This or g602 for £5 less? Why link in here takes me to whiskey? 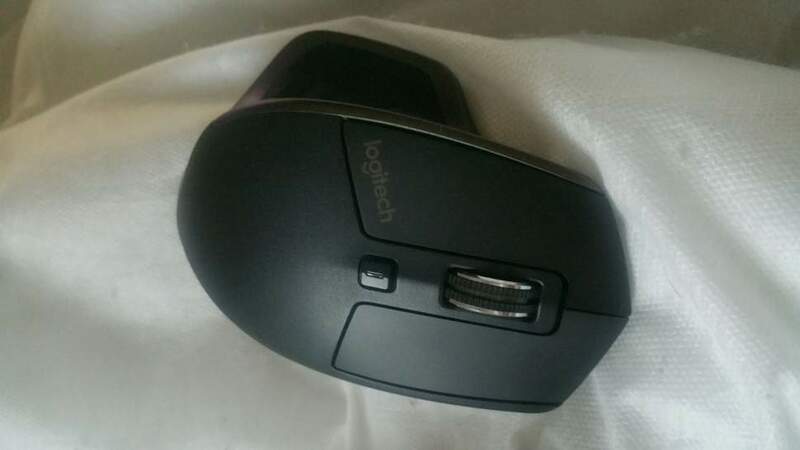 I'm trying to wean myself off Logitech premium products, their RMA support is truly terrible. I couldn't disagree more. I have both versions and use both on a daily basis - one at home and one in my office. They are virtually identical in day to day use. The 2S has a slightly better colour scheme in my opinion but that is subjective. I don't notice the battery life improvements, as I generally charge both around every 2 weeks for a few hours. The second version is basically a 1.1 revision and not worth the price difference. 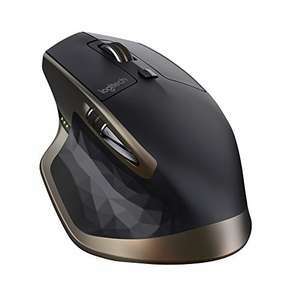 Edit: I should also say that I initially replaced an Apple Magic Mouse with this as I was getting serious fatigue and or RSI in my hand and I find this mouse comfortable to use for 8+ hours at a go. Bought the second one just a couple of months later. Can't complain. Ps, the Magic Mouse is the devil. Thanks for the heads-up OP. 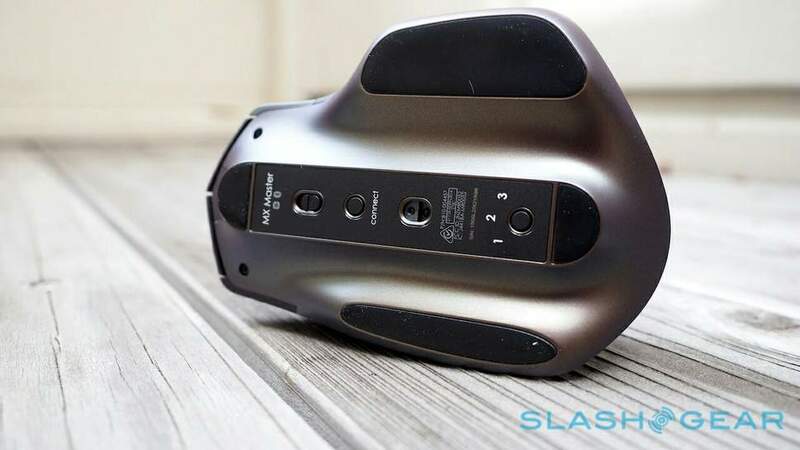 I'm looking to upgrade from my ageing MX518 to a wireless mouse and had this on my list. Dave Lee, a tech YouTuber with almost 1m subscribers did a review of these …Dave Lee, a tech YouTuber with almost 1m subscribers did a review of these mice and he said in terms of usability, there's no difference between the newer and older versions. Although the battery life is bigger, he didn't notice any difference. Well it depends on the size of your hand really as i bought one of these before and the button placement was bad as i had to keep changing my grip every time i needed to press the forward and back buttons (i wear large size gloves). So i returned this overpriced mouse and bought a G602 and never had any problems with it since.I have had lots of Logitech mice before and i think this has been the most overrated and overpriced. what was the connect button used for? Why is it not necessary now? The part number on the back matches the MX Master 2 on the website!